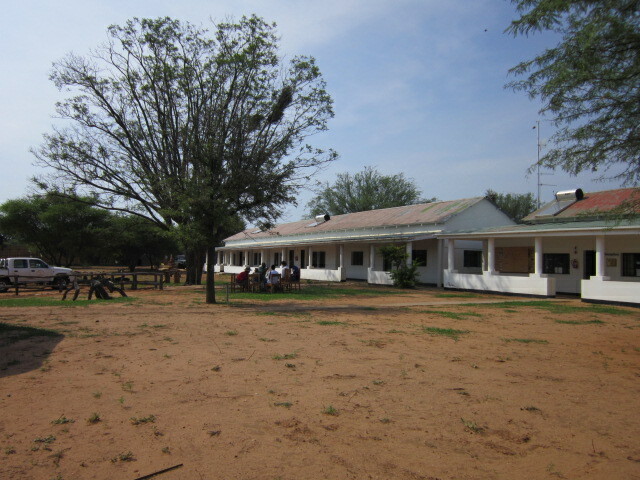 So my weekend in the Bush was spent at Dqae Qare San Lodge ( http://www.dqae.org/). 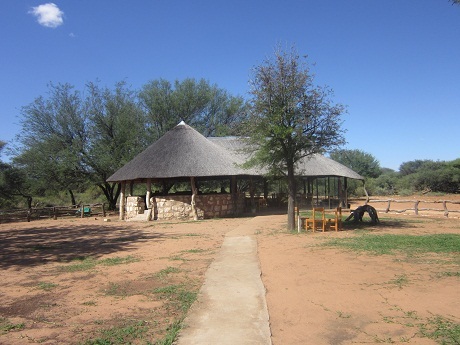 It is a beautiful lodge which is actually owned and run by the San people (or as they prefer to be called, Bush men). 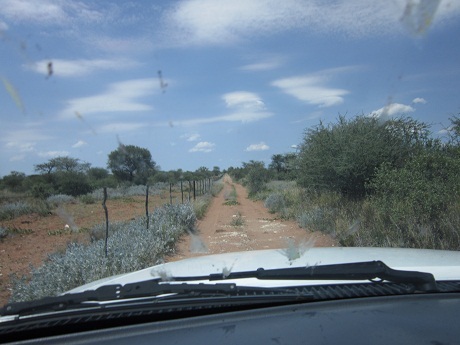 It was located down a 10 km long sand track and the lodge actually sits on a 7500 hectares (18,500 acres) protected game reserve and includes a wide variety of game including giraffe, eland, zebra, wildebeest, hartebeest, kudu, impala, warthog and other small game. 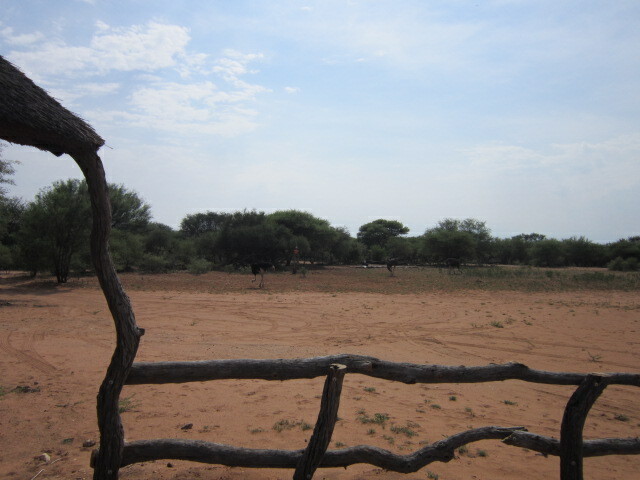 It also has a number of cheetah plus leopard and brown hyena. 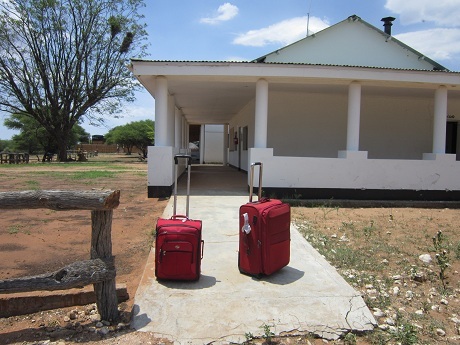 The lodge has no electricity but does have a solar powered generator that they turn on for a couple hours most days. The rooms we were in were spacious and lots of candles to light at night as the generator always went off at 10 pm! And I just have to post it again! I need to build Lawrence’s capacity to pack lighter for the bush 🙂 I could pack lighter too, if I didn’t need sun protection lotion & insect repellent. But at least I can still squeeze everything into a small suitcase…shoes and all…I still don’t know what all he had in his LARGE suitcase. Who says girls pack more than guys????? From my room, I could lie in my bed with the large wooden door (top half ) open and watch the watering hole which was about 50 metres from my room. In fact, I left the top half of my door open a lot and I was informed that at night I really needed to keep it closed as any kind of game could actually wander into my room including the cheetahs, which I heard from my room one night but didn’t see. The watering hole from my room! While the campers had hot water, for some reasons the hot water in the rooms was not functioning so I got to have cold showers every day which do cool you down in the extreme heat. My only problem was that I forgot to bring shampoo and had to go three days without washing my fine hair! But no one seemed to notice but me. 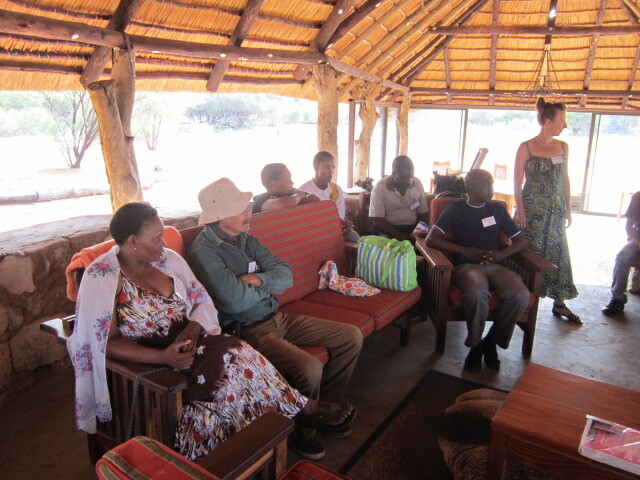 However, the space that I was facilitating was what presented the biggest challenge. It was a beautiful open space that was used as a lounge/dining area. It was basically wide open to the perusal and just dropping by of the wild game! So you can see – no walls! I actually sent the flip chart behind flying over the wall at least three times. Saying that working in the room was challenge was an understatement. My next posting will be all about that! 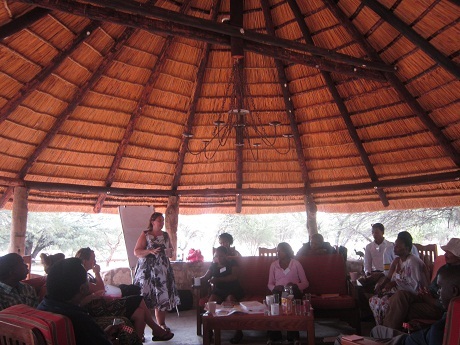 Facilitating in the Bush. 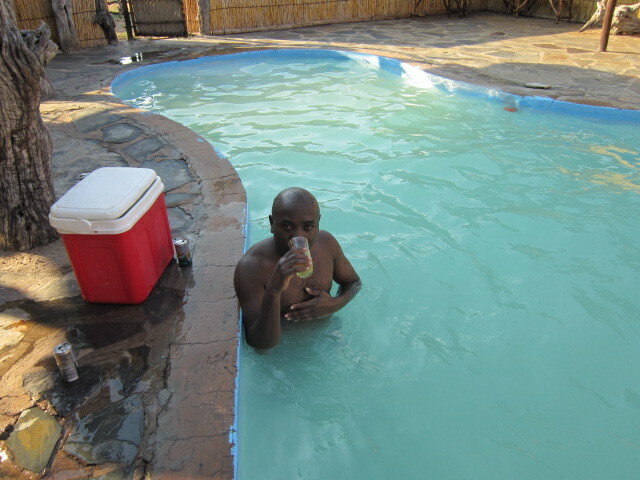 We also had a swimming pool which I of course headed for when I could. 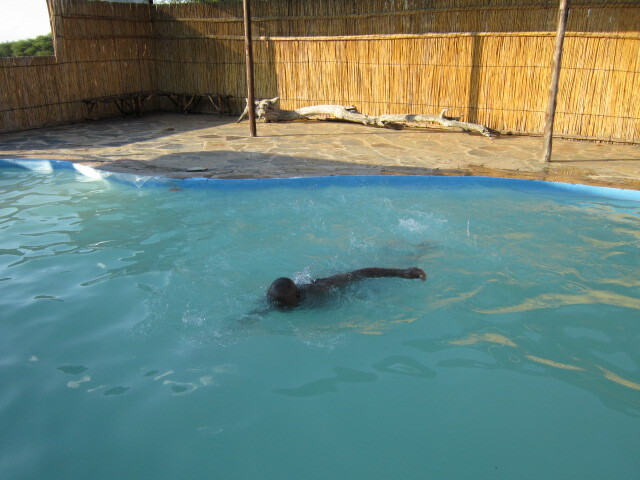 I even taught Mr Zimbabwe how to actually swim. And no, he didn’t have a swimsuit in that HUGE suitcase but he bought some in Ghantzi. To learn to swim he needed the motivation in the cooler! Okay, unfortunately that is all I have time to write today…the social butterfly is off for a posh dinner at the Grand Palm!